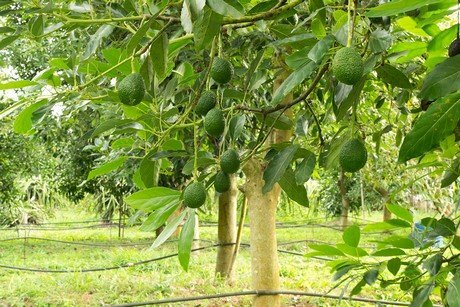 There is a disease called Colletotrichum which affects avocado plantations in Latin America. STK Bio-Ag Technologies has found an excellent use for their Timorex Gold® product in this avocado disease. The benefit of using Timorex Gold® is also being recognised further down the food chain. One of the international supermarket chains in Brazil has introduced a high taste and quality category, requiring that produce have no chemical residue and pass labor and environmental audits. Bananas treated with Timorex Gold® have qualified for this program and have received the taste and quality label. The use of Timorex Gold® has been reauthorised in Chile until 2022 and has been expanded to include other fruits & vegetables. It has been approved in China, Brazil, and just about every US state. Shay goes on to say that STK is growing very fast, with its technologies expanding geographically. “There have been so many new developments with Timorex Gold®, Aviv®, REGEV ™, and partnerships in the last six months or so”. This company is one of a handful that focuses on developing botanically-based pesticide solutions. AVIV has recently been approved for use in California and 26 other American states. “Things are progressing ahead of schedule”, says Shay. Jose Antonio Estevez, STK Bio-Ag Technologies’Colombia Country Manager, will be doing a presentation about its ‘hybrid technology’ at the upcoming LATAM BioControl Conference. This is the largest international event dedicated to biocontrol in Latin America. It is to be held on 14 November in Medellin, Colombia.